Tubed, patch, and MDI, are all choices within #T1D world. While there may be strong opinions about what works best but the truth of the matter is #YDMMV (Your Diabetes Mileage May Vary - as my good pal, Bennet @BadShoe often says). This means that whatever you choose, for that moment, is what works best! However, that doesn't take away the honest concern of how those special days will be for our loved ones living with T1d. Will wearing an insulin pump detract from their moment? Will there be room to carry supplies? Will it be limiting to choose specific styles? And for the love of all things fashion.... what if there are no pockets?????? This past weekend marked our very first prom. And I can share that no, her insulin pump did not detract from her dress, there was plenty of room for supplies - AND low blood sugar foods, not to mention that she wore the perfect dress and it definitely did not have pockets. Best of all... none of those questions or answers, overshadowed the beautiful evening. More importantly, she danced, she laughed and she made memories for a lifetime. Prom was exactly the way it should be as a milestone of high school for teenagers. So how did we do it? Here are a few random tips for ensuring prom is perfect. 1.) Dress shop for the dress that you and your teen like best. Try not to think about T1D but instead focus on the moment at hand and enjoying the anticipation and excitement of the big night. 2.) While you are out shopping, stop by your favorite athletic store (we chose Nike) to select a pair of fitted, spandex volleyball or yoga style shorts. We tend to wear these types of shorts under almost all of our skirts and dresses anyway. It is more comfortable and allows a bit more freedom against accidental fashion faux pas. The added bonus to wearing these is that the pump fits securely in the front or side of the shorts. Just clip inward towards your body and the pump virtually disappears as the spandex material smoothly covers it. 3.) Speaking of shopping, this is a great time to grab a clutch. Look for something sparkly to match the style of the dress but also, check out the size of the bag. We have been known to remove blood sugar meter supplies from the usual case to loosely place inside of the formal wear clutch. This saves room and allows for low bg items to be added, all while still looking fashionable and trendy. Not to mention, that it is important for carrying a driver's license, debit card and a small amount of emergency cash. Oh and lipstick. You know, the important things! 4.) On the last site change prior to the dance, placement is everything. We try to rotate to flank, tummy or buttock. Placement will depend on the fabric of the dress and usually by then, we have an idea of how sheer, thick or beaded the covered area will be. It also helps to keep these site locations in mind as we know the length of the tubing and the intended location of shorts. If you are using Omni-Pod, this isn't a concern, but it is helpful to remember infusion site rotation. 5.) If you have a friend with extra pocket space, it is also a good idea to share low treats. Often, our daughters tag friends wearing sports coats and ask if they could hold a roll of glucose tabs. They have great buddies and to this day, everyone has been very agreeable. It has come in handy when on the dance floor. A couple of glucose tabs and lows immediately avoided. Most of all, I hope you enjoy the night. This is a special time for everyone and it is nice to see T1d taking a back seat. I just wish all events could involve glittery dress up! If sharing is caring, than we have an app to make your pancreas happy! 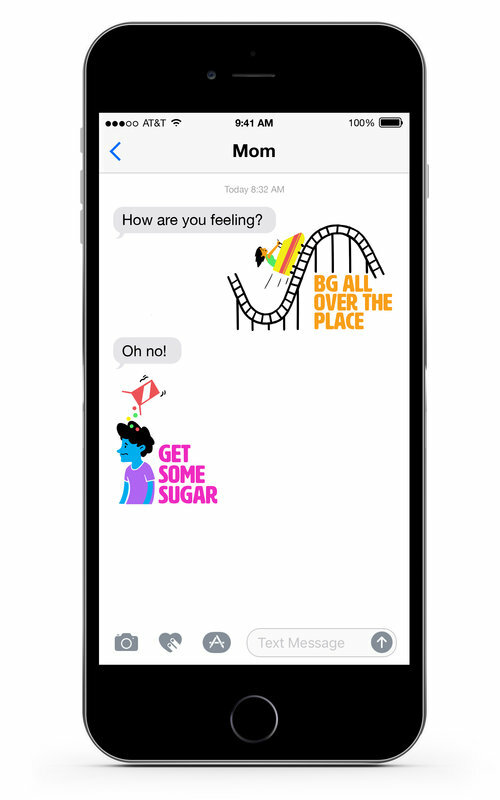 New for 2018 - The Diabetemoji App is available starting TODAY! Updated with FRESH designs, BRIGHT colors, COOL Diabetemojis! Everyone will love sharing a 1000 words in just ONE PICTURE!!! Save having to repeat annoying diabetes commentary! -- This is a personal favorite of the Naturally Sweet Sisters!!! And the best news? It is NEW!!! We hope you love this new edition! Stop by and share your feedback @natsweetsisters on Twitter, or NaturallySweetSisters on Facebook. Your comments help us make this the best diabetes app out there. We are so grateful! I recently read a blog account of what a low blood sugar felt like for an adult friend of mine living with T1D. I won't pretend that it didn't bother me, because it did. It's a sad reality of what our loved ones deal with. It also reminded me that it had been a while since I asked the girls how they really felt. If I want to practice sharing empathy and compassion throughout our medical community, then, sometimes, I have to ask the hard questions, even when the answers break my heart. As we veterans know, parenting with or without T1D is never easy. So I sat down with my youngest daughter and I asked her to tell me exactly how she felt during a low blood sugar. These are her words without edit. I don't always notice the low until later. First, I feel sweaty. I feel my chest warming and at the same time, begin to feel tired. I can't hear as well and there is a blurry sound. I can think but everything is distracting. It's hard to concentrate. My thoughts feel interrupted. Sometimes, I feel cold and sweaty. Sometimes, I feel hot and sweaty. My body feels lumpy and it's hard to make my muscles work. I know that I need to eat. I hate that I need to eat. It feels like I just came off a roller coaster and my stomach doesn't always want to cooperate. I feel desperate. I think I look fine to other people but on the inside, I feel like my body is destroying itself. If it is really low, I feel panic. I hear ringing and buzzing in my brain. It takes me as long as it took me to drop to feel back up. Sometimes it is minutes and sometimes, I do not feel good for an hour. I feel depleted after. Sometimes, I just want to sleep until my body feels good again. I asked her how she felt to have me there and this is what she said. I feel safer with you. Sometimes, I feel angry because I want to sleep. I think about that later and I know that you are keeping me safe. I dislike that you stare at me. I don't like that anyone stares at me when I am coming up. I feel weak and..... (I inserted 'vulnerable' and she agreed). I don't like that you give me too much food. It's awful to have to eat and I never feel that good. I know why you do it but I don't like it. I am always grateful that you are there, even if I seem not to be. It can be scary. My best ideas often come from places where I am completely shrouded in silence... like that alone time in the car or during my morning shower. As I zone out the rest of the world (not entirely while driving - don't worry, you are safe with me on the road), I contemplate how darn lucky we have been, as a family, within our support of T1D. After all, it does take a village to raise children, and even more so, children living with T1D. This acknowledgement led to thinking about what I wish I had known to tell everyone all of those years ago during our initial diagnosis. So from my silence-induced mental ramblings, here is one of my favorite top 5 lists of all-time. 1.) See my children. After diagnosis shock has worn off, I hope that you understand that my children are still the same curious, bright, happy and engaged kids that they were a week ago. 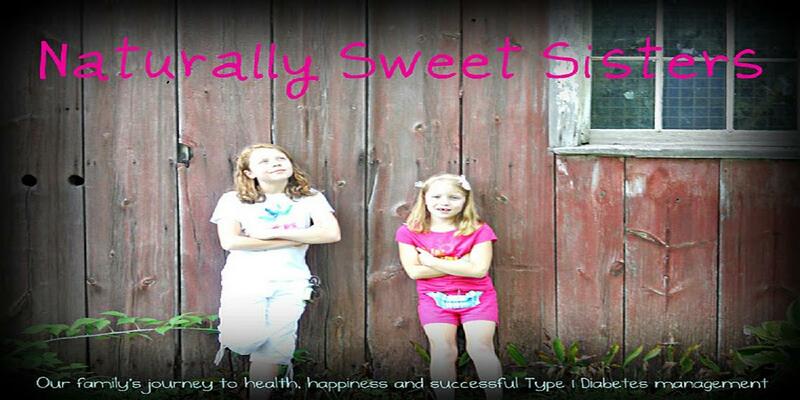 Type 1 Diabetes does not diminish their spirits, hopes or dreams. It only requires a bit of daily insulin therapy. 2.) Recognize that they are rapidly becoming experts in their own care. As adults we often think that only we know best. The truth of the matter is that children living with chronic care needs are more well-versed within their T1D care than most providers, teachers, coaches, friends and loved-ones. As a community support, we should be respectful of their needs and not question whether 'they can eat that' or 'do this' or 'be that'. 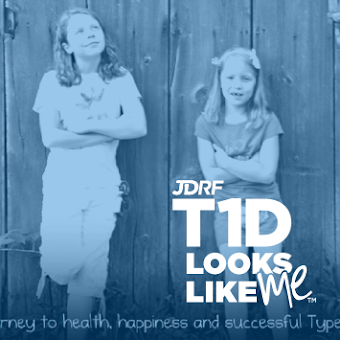 Support means listening, encouraging and celebrating their T1D journey. 3.) Let go of your personal bias. This is hard for most everyone, me included. However after our 12 years of post diagnosis, I have learned that it is possible. People that once said they were afraid of blood/needles, or repeated sad stories of long lost relatives, or were concerned of contagiousness, now understand that T1D management is less about the horrors of medical care but more about the necessity of good health. 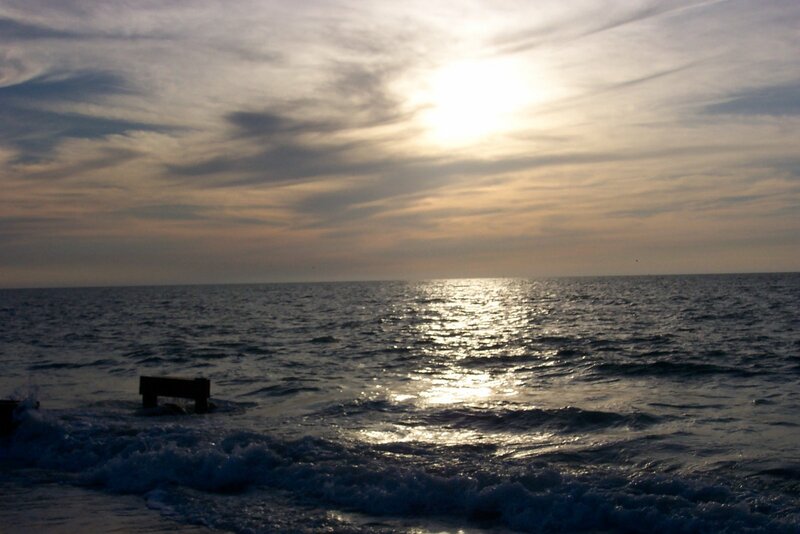 We can shift paradigms but only if we agree to let go of what we think we know. 4.) Cheer for the kids. Cheer for all of them and often. Young people are living with many invisible layers of complexity from food scarcity, to insecure homes, to medical concerns like Type 1 Diabetes, and this is just to name a few of the very 'adult' issues that are happening. I love cheering for the quarterback just as much as I do for the child that quietly draws. When my girls were little, we made it a point to celebrate their success but to also point out peers that were accomplishing their own goals. To this day, I firmly believe that this generation will be changing the course of our world by simple improvements. All kids deserve our encouragement because everyone has something. 5.) Childhood is short. With so many necessary T1D tasks, I never wanted to lose sight of the magic of being a kid. Encourage your loved ones living with T1D to try out for the sports team, sing loudly, be silly and stay up too late. Eat the chocolate. Be a little naughty. Go to overnight camp and have FUN! Until there is a cure, there is a life waiting to be lived and no one should waste a second of it. When you interact with my girls, remember that they may sound like well-versed adults, they are still kids. Enjoy them. Have fun with them and be amazed by all that they do. However, most of all, recognize that they are light-hearted goofballs that just happen to wear an insulin pump and still believe that life IS good. Merry April - and may there be no more SNOW where you live!